I have been trying really hard not to mention Christmas until December. I don’t want to even think about it until after E’s birthday mid November, not even have it on my radar. But this year I had no choice. Well I did have a choice, of course I did, but sometimes rules are made to be broken. Especially when it involves Hogwarts. 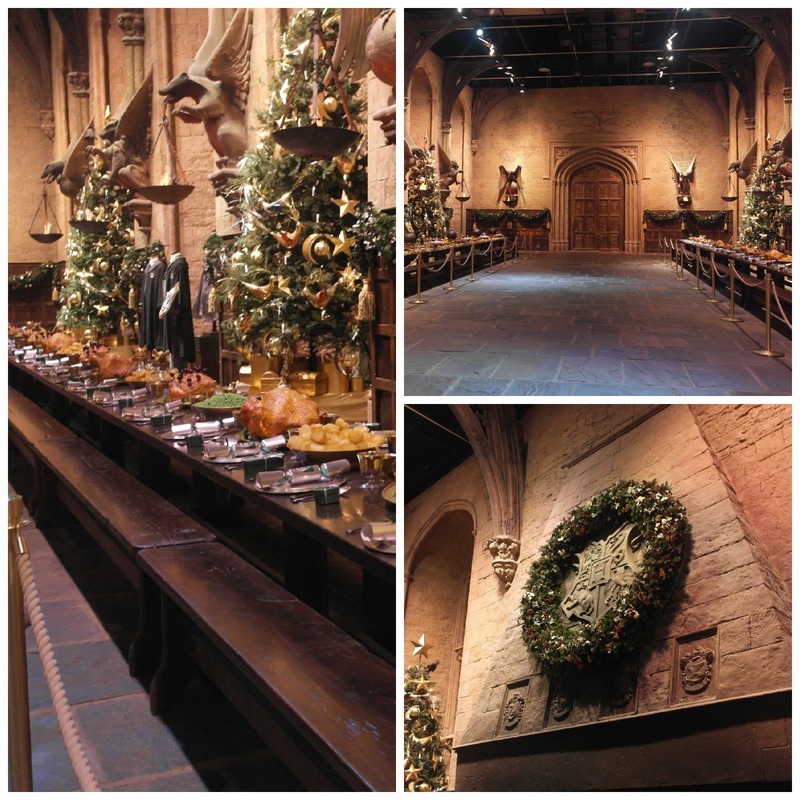 An invite to see #HogwartsAtChristmas landed in my inbox a few weeks ago and I squealed. We have made no secret of our love for the Warner Bros studio tour and how we had such a magical time (did you see what I did there? Did you? Clever, huh? Oh whatever) when we went back in August. In fact we have Tweeted, Instagrammed, and generally shouted about this more than any other thing. Including cute kitten pictures. So on Thursday last week E and I set off from school to do battle with the M25 in the rush hour to get to the Studios. It is an easy journey actually and sign posted off the M25 (and also offers a shuttle bus from Watford Station for anybody coming by train). We walked in to mince pies, mulled wine and an enormous Christmas tree. This was it. It was about to get Christmassy. 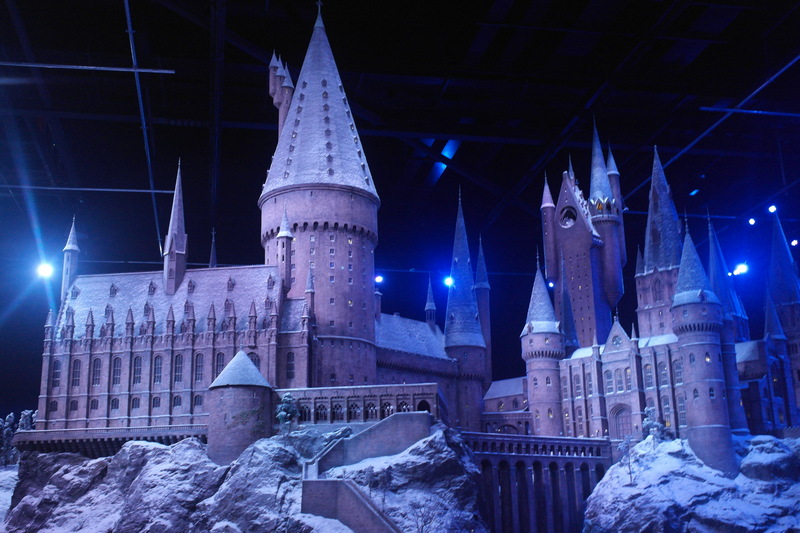 They have been closed for a week whilst they make all the preparations, and it took four days to add snow to the stunning Hogwarts model that is the centre piece of the whole tour. E wasn’t particularly looking forward to watching the short videos again that tell the story of how this book came to screen, she had remembered it all from last time. Until that is she spotted the famous YouTube sensations amongst the other attendees. I don’t think I have ever seen her quite so animated at seeing famous people. I say famous, I had no idea who they were, but they were so famous and so fabulous we just had to have a picture. A picture that was then on Facebook / Instagram / Twitter. And you know how adverse E is to me taking her picture normally. Having a mum who blogs suddenly became cool. (though I am told if you say something is cool it instantly becomes uncool). It was lovely to be on the sets again, the backdrops that were home to the cast and crew for ten years. The Great Hall was magnificent. The tables set for Christmas dinner and malevolent fairies flew around the numerous Christmas trees dotted about the hall. We got to marvel again at Hagrid’s Hut and the dormitories. And then as we walked outside and onto Privet Drive it started to snow. Not proper snow, but magic snow. As I stood there drinking my Butterbeer (which I missed out on last time as the queue was monstrous) with the snow visible in the street lights I could have cried. Actual proper tears. It was just too incredible. 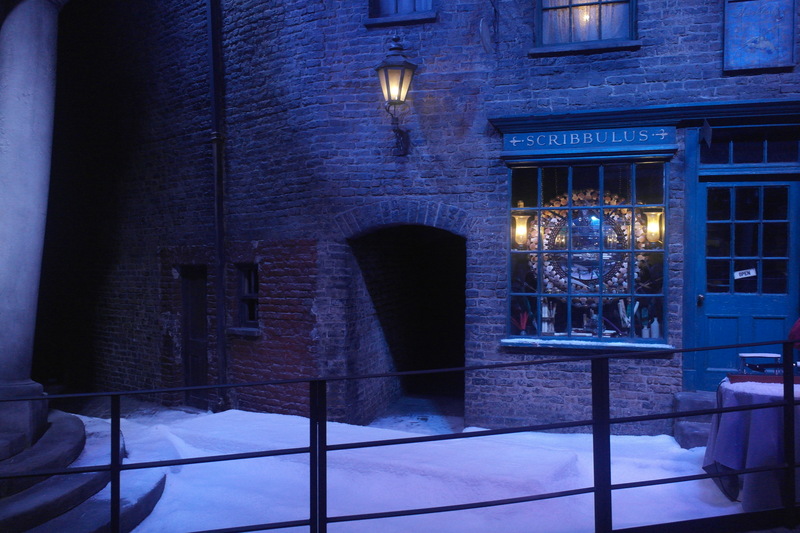 Diagon Alley had snow on it made me think I was in a Dicken’s novel. Hogwarts in the snow. It was stunning. Breathtaking in fact. I ran out of superlatives. I urge you to go if you can. If it is fully booked in the School holidays or at weekends take a day off to go. Don’t miss it. Honestly, if you are a Harry Potter fan you will be in heaven. If you aren’t a Harry Potter fan, go anyway and imagine being a kid again. 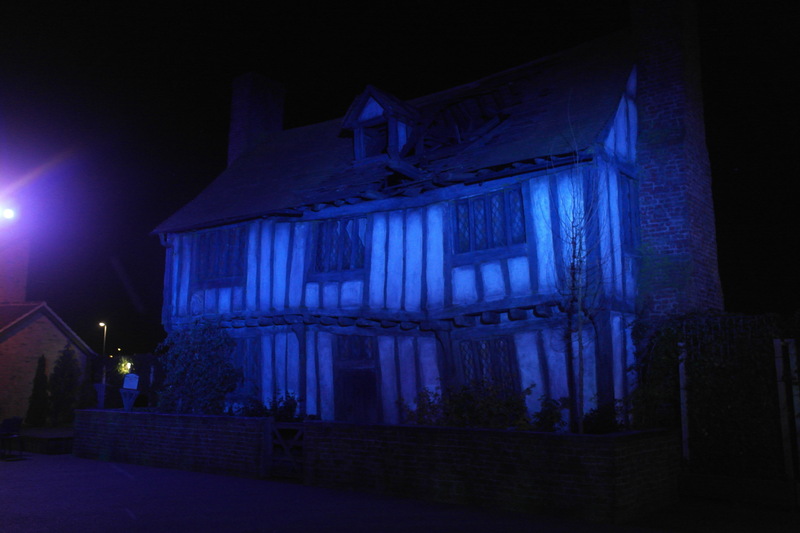 All the info on prices and opening times is here: Warner Bros What’s On and Hogwarts at Christmas is on until 12 January. I have been admiring all the posts on this, it just looks AMAZING!